Today was our last day before Matt comes home, so we girls were very girlie today. It was difficult to pull ourselves away from such cuteness! 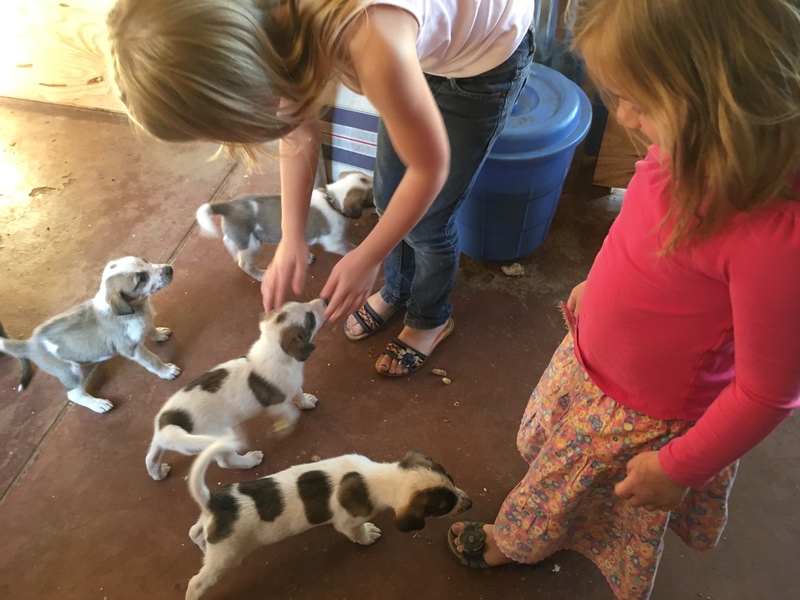 I appreciated that Alicia enjoyed the puppies – her puppies – as much as Abigail and Naomi did! 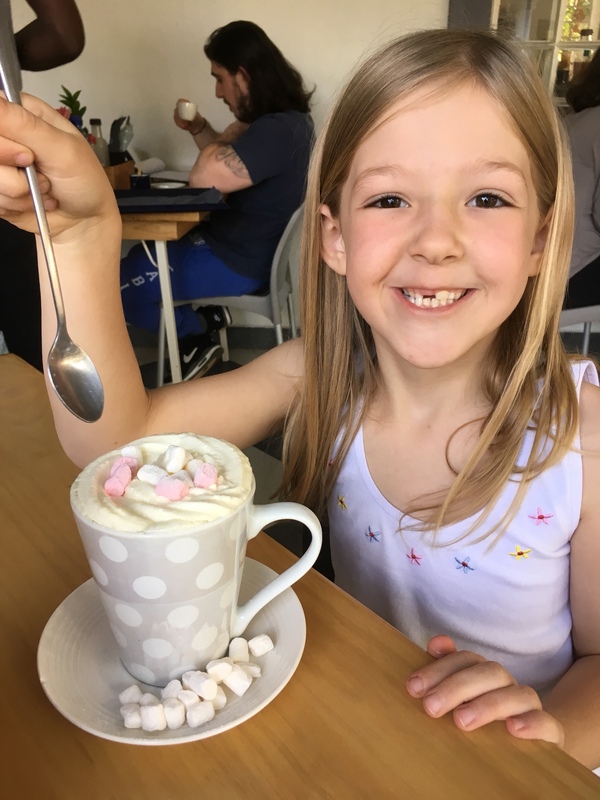 Alicia joined us for lunch out, and since it is winter here in Malawi, the girls had hot chocolate – with white and pink marshmallows! 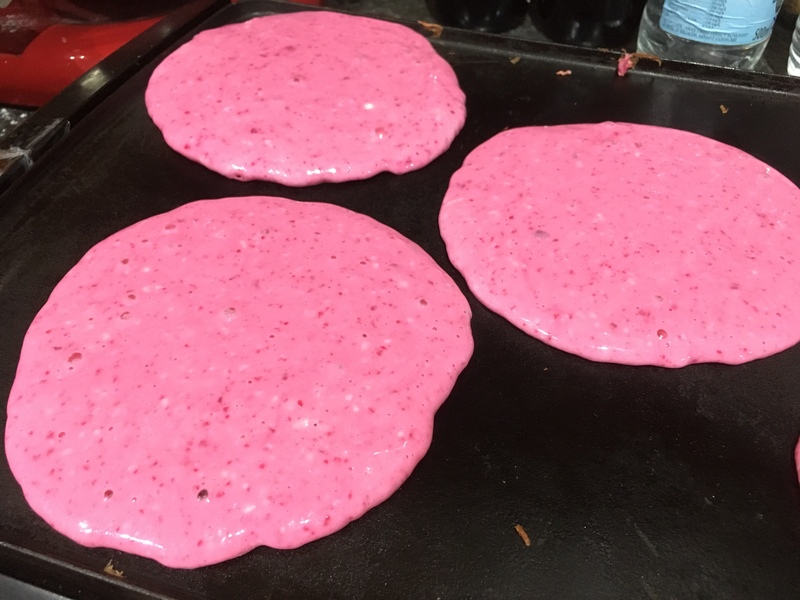 Since the girlie thing was working out so well for us, we had pink pancakes for dinner. A little bit of beetroot goes a long way… healthy and girlie! 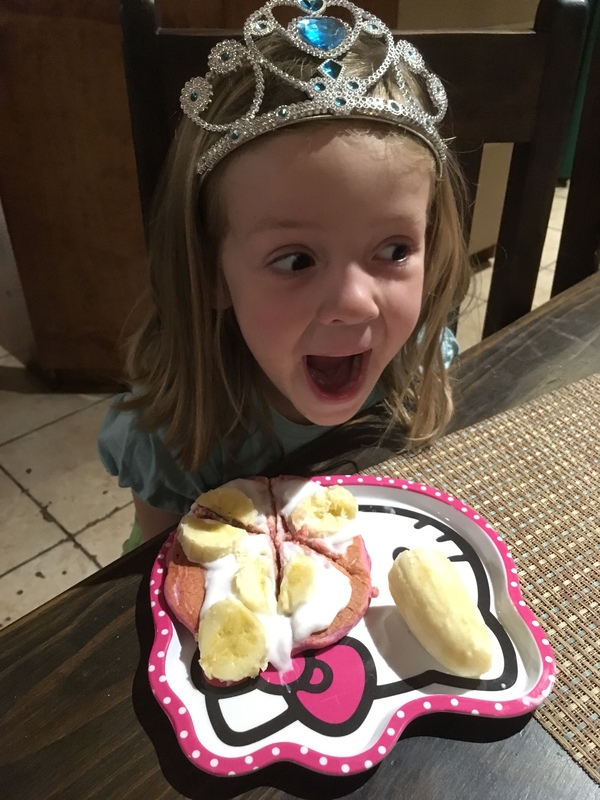 The Pancake Princess highly recommends vanilla yogurt and sliced bananas. Matt comes home tomorrow! We have enjoyed these days of fun girl time, but we will be so glad to have him home! 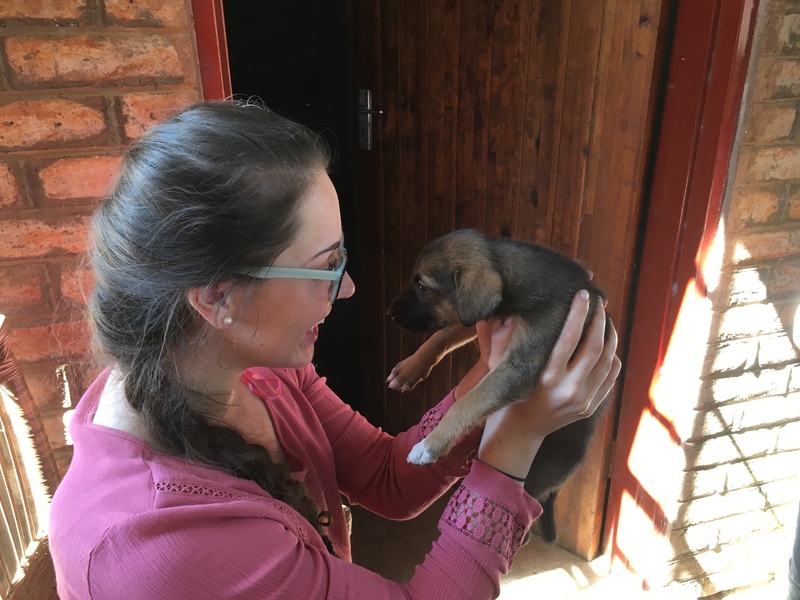 This entry was posted in Abigail, Amusing Things, Family, Food, Life in Africa, Naomi.